10th August 2018: the harvest has officially begun at Casa Paladin. Castello Bonomi has been the first to open the season, because of the particular climate that characterize the southern side of Franciacorta, which allows us to anticipate the harvest. Here our experts confirm the perfect balance between sugar and acidity reached by the Pinot Nero grapes for sparkling wines. In Annone Veneto, in the vineyards of Bosco del Merlo and Paladin, the harvest will begin the 13th August. Around 20th August the grapes of Pinot Bianco, Pinot Grigio and Chardonnay will be ripe and the ones for Prosecco wines by the end of this month. 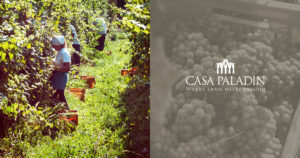 As usual, the harvest of Casa Paladin will close in Tuscany with the precious Chianti of Castelvecchi, which grapes won’t be picked before the end of September. Two months of hard work in vineyards, in three different parts of Italy, to reach the best for our products. 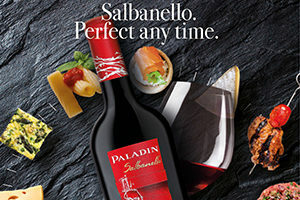 Perfect, any time: Salbanello is one of Paladin bestsellers, year after year a great success. Luca Maroni awarded Salbanello in his Annuario dei Migliori Vini Italiani guide with 91 points in 2011, 90 in 2012, 92 in 2014 and 2015, and with 94 points in 2018! A new packaging for a unique red wine, Raboso Fiore Paladin. 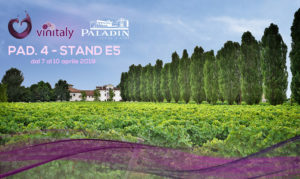 The similarity to the Paladin sparkling family wine enhance its identity, represented by a fruity taste and a great pleasure in drinkability, enriched by a delicate perlage. 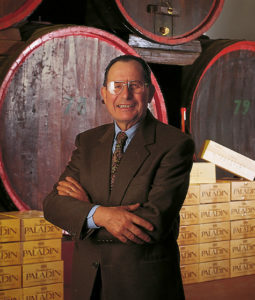 Passion, research, dedication and respect for traditions: these are the main values pursued by Paladin Family since the company’s foundation in 1962 by Valentino who followed his grandfather’s marks. This spirit has been enriched over time with new energies and enthusiasm with the aim of producing excellent, typical wines while respecting its roots. Paladin vineyards, which look like beautiful gardens, are immersed in the harmonious rural landscape recalling ancient traditions and cultures. The estate extends between Eastern Veneto and Friuli with almost 100 hectares of green vineyards. This is a territory in which viticulture and enology enjoy an ancient and renowned tradition. In this area the love for wine and viticulture date back at least to the Roman age: in the first century a.d. Plinio used to describe this rich area as a wide vineyard and used to describe the ships which, full of wine amphoras, sailed from the Adriatic ports to Rome. Centuries later, the Republic of Venice used to import the “noble drink”, object of trade exchanges all over its dominion. Finds testifying the ancient production of wine in this territory were found in our vineyards in Lison. Agricanto is a silken liqueur, obtained from raboso wine, morello cherries and almond. Drink it chilled, alone or in combination with chocolate. Agricanto is sweet and seductive and will conquer every palate. 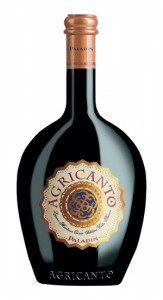 Agricanto is an inviting liqueur, characterized by an intense ruby red color and rich aroma. It is delicate and seductive, seeking out very senses and enlivening them.